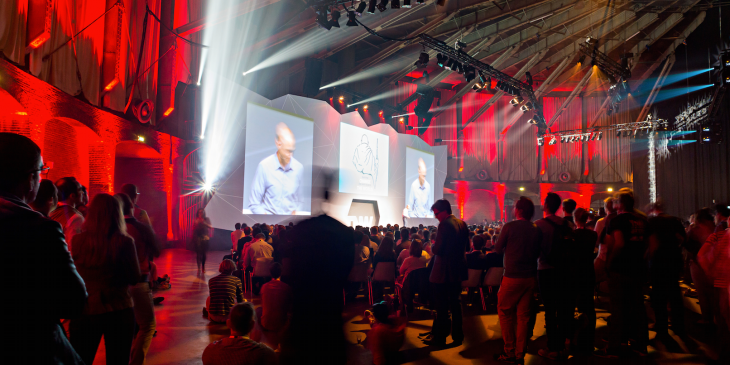 What brings you to The Next Web Conference in Amsterdam this year? For some people its the inspirational speakers, for others it’s the startups – but for everyone, it’s the networking. However, at most conferences, meeting people is still often down to luck or serendipity. We want to change that by using the latest big data technology to help you make the most out of the 3,500 fantastic people descending on Amsterdam this year. By using the PeopleGraph algorithms to combine all publicly available information into a single profile, it is far easier to get a better understanding of who’s who at the TNW Conference. Knowing which social sites people are on, or where their personal website/blog is, helps you research people more quickly – as well as reach out to them on a social network or platform they actually use. Our hope is that all this will improve context and ensure that you find the right piece of information to empower more meaningful connections. People Search: Just met someone on the business floor? Laser-targeted on who you want to meet this week? Just type in their name or company to learn more about them. Keyword Search: Looking for experts in SEO or 3D printing, or to find out which The Next Web employees are at the conference? Try searching by keyword to find relevant people. A-Z Directory: If you simply want to browse all of the potential connections you could make at TNW Conference, use the A-Z Directory option: a comprehensive list of everyone attending this year’s event. Connect! Once you’ve learned a little about our attendees from their TNW People profile, connect with them using your (or their) favourite channel. As you can see from Boris’ profile above, there often a number of options. If you’ve got a ticket to TNW Conference you can check out the networking tool below. Simply provide the email you registered for your ticket in the search box to gain access, or check your email for a verification email that we sent to you earlier today.